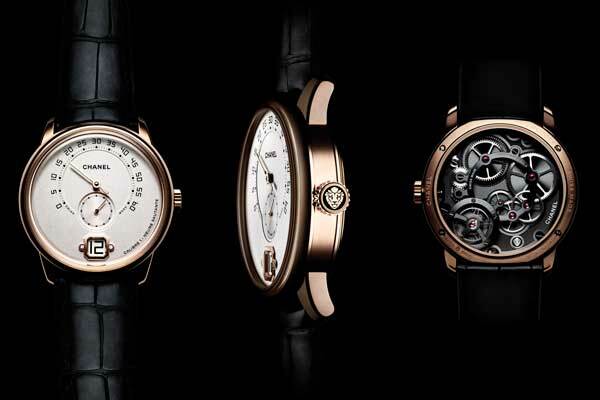 Despite its popularity with women’s watches, Chanel has been manufacturing men’s timepieces for a long time. Now they are back in the men’s watches market with a stunning timepiece Monsieur de Chanel which was launched last week at Baselworld 2016. Though it has quite a masculine look when compared to the brand’s other creations, we are still not very convinced about seeing the watch worn by man. The first version of Monsieur de Chanel features a jumping hour with retrograde minutes and running small seconds, in a 40mm gold case. It’s powered with double-barrel manual-wound movement which sports an attractive anthracite finish. The open designed bridges are contemporary and minimalistic as we saw in the very structural formed caliber of the mighty J12 Skeleton Flying Tourbillon. 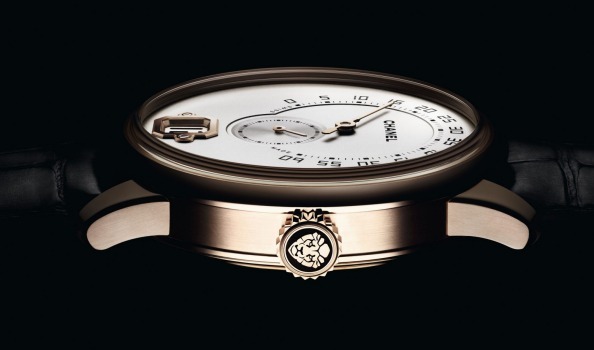 The retrograde minutes are indicated across a three-quarter curvature which is interfered with the hour window, formed similar with the case of the Première watch, which actually recalls the classic perfume bottle stopper of Chanel. 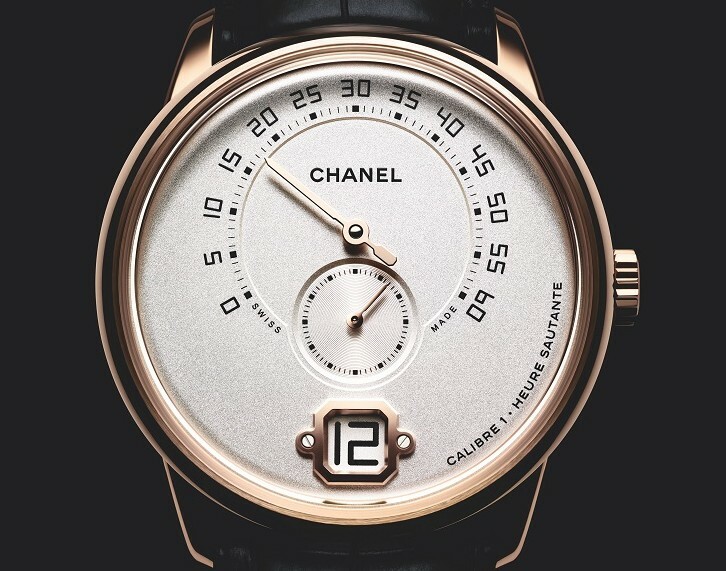 The numerals, being quite new in the common design pattern of Chanel timepieces, are very direct and simple, bearing a similar volume to the dimensions of the Chanel logo. The crown’ decoration is not the popular Chanel double-C form but, it’ a lion’s head instead, which will remarks the in-house calibers of the brands. 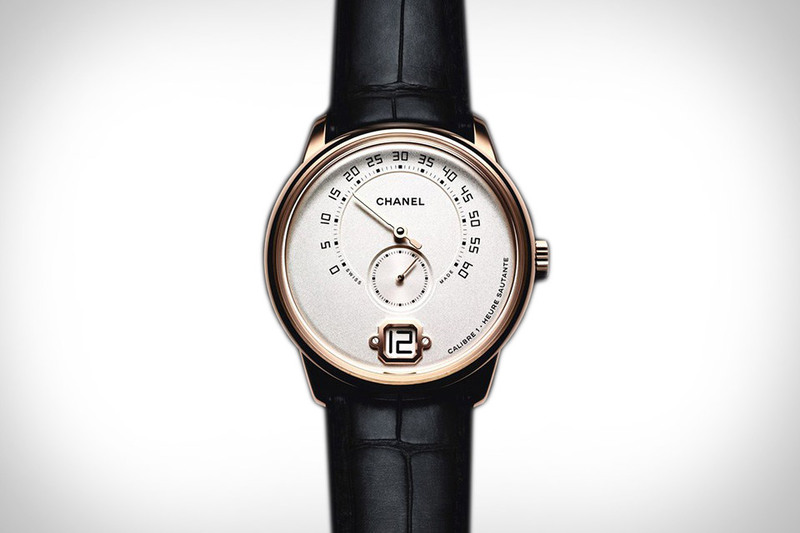 As mentioned above, Monsieur de Chanel is powered with an in-house movement: Chanel Calibre 1. 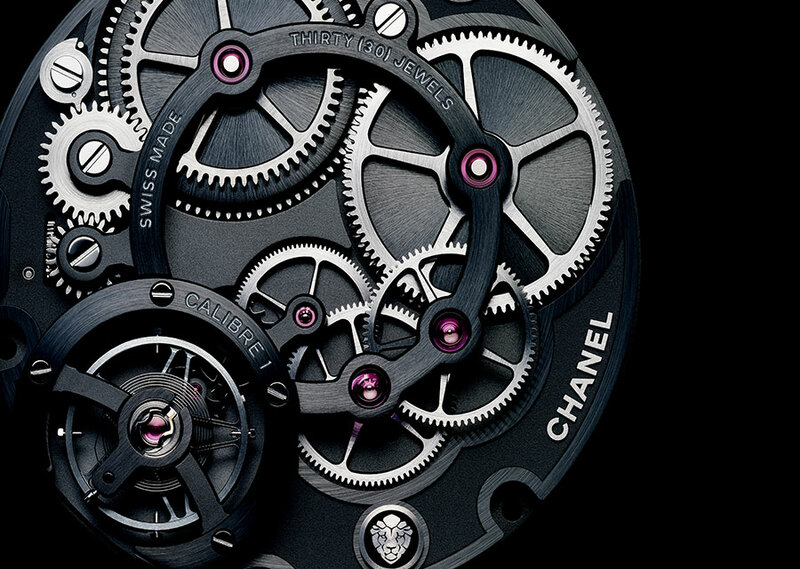 It is a movement developed and manufactured by Chanel Haute Horlogerie division which is grew stronger since the company acquired a part of the high-end watch making atelier Romain Gauthier. The Monsieur de Chanel will be produced in a limited edition of 300 (150 in white gold and 150 in beige gold — a special type of gold presented by Chanel into its watch collection a few years ago).